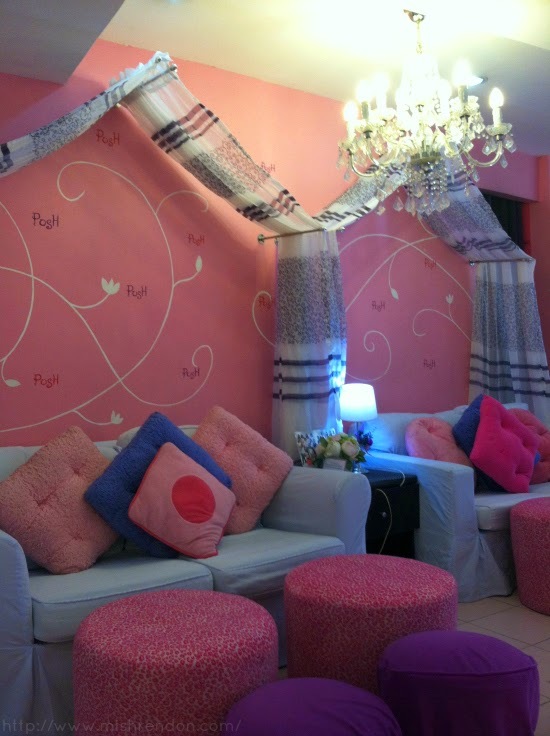 Posh Nails has indeed become one of the most popular nail salon here in the country as they now have 25 branches nationwide. And as a part of their expansion, they were likewise able to come up with new services that their clients will surely love - one of which is the Whitening Manicure powered by GlutaMAX. 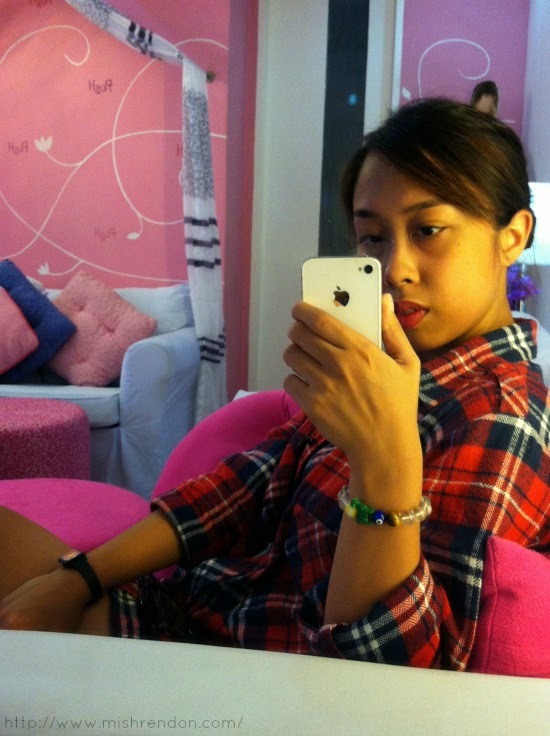 I dropped by Posh Nails Tomas Morato a few weeks back to try out their Whitening Manicure. It was a Friday afternoon when I came to visit and I was relieved that there weren't too many people around. I guess the best time to visit their salon is before 4 pm because after that people just keep on coming in. I love how dainty and pretty the interior of the nail salon looks like. Everything's pink and girly! The area appears spacious and could probably accommodate around 10 to 15 clients at one time. They also have quite a number of staff. The entire procedure of the Whitening Manicure powered by GlutaMAX lasted more than 1 hour. Please bear with me because I only have few photos of the procedure cause I was alone and my hands were being treated. 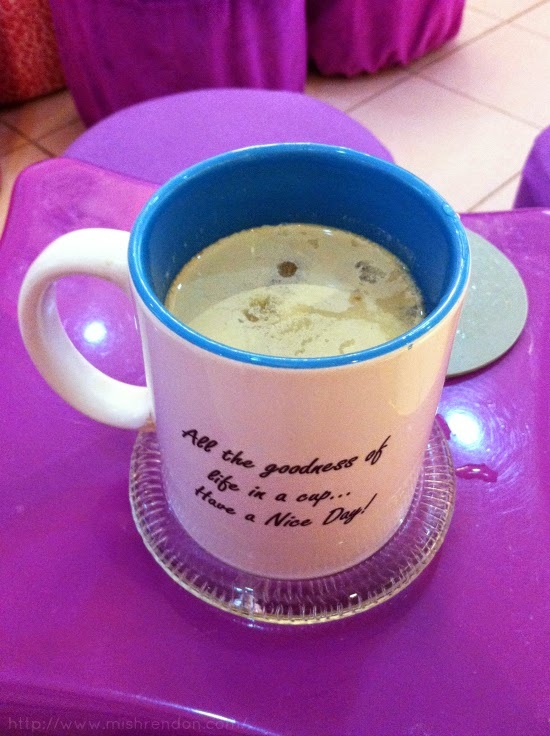 :) Initially, I was given a cup of Nice Day Coffee White. 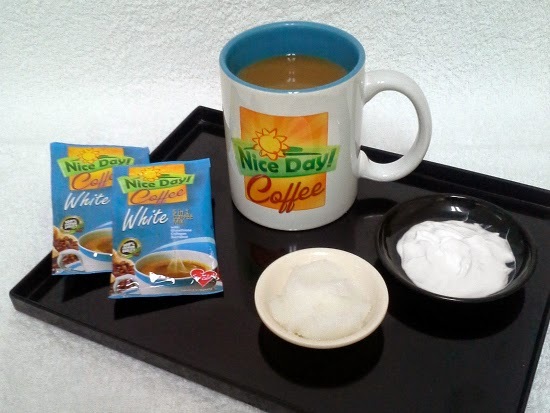 This 5-in-1 coffee mix contains glutathione and collagen and is designed to lighten the skin, making it more radiant with continued intake. The glutathione also prevents the skin from producing melanin, keeping it lighter. Collagen, on the other hand, keeps the skin hydrated. I love how they incorporated this step into the manicure procedure to make whitening more holistic than limited to the nails. Next, I was treated to a relaxing whitening scrub. It helps slough off dull skin to reveal the newer, brighter layer beneath, which has a more even complexion. I suggest you wear something that would reveal your arms so that they could properly apply the scrub in your arms. Good thing I was wearing a cami underneath my cover-up so I just removed the latter. The scrub lasted for around 5 to 10 minutes, concentrating on my elbows. After the scrub, my nails went through intensive cleaning. I am usually hesitant to have my nails manicured because my skin is prone to cuts and scarring. Thankfully, my hands were treated very well. Ms. Darling, the one who attended me at Posh Nails, was very careful in cleaning my nails. I love how my nails were shaped as well. The best thing about their cleaning was probably how sanitary it was since they use fresh tools only. After the manicure, my nails were treated to Cuccio Sicilian Nail Whitening Paste, which is formulated for extreme cleansing and nail brightening. It thoroughly cleanses the nail beds, whitens free-edges, and is non-abrasive so that yellow stains can be brushed away and stains from dark polish, smoking, colored food and dye, and more can be removed. The paste contains tea tree oil, which serves as a natural antiseptic. It actually looks like toothpaste lol! It was left on my nails for a few minutes before Ms. Darling brushed them with water and thereafter, washed the scrub off my arms. Before the procedure ends, I was then treated to a nice hand and arm massage using the Whitening Lotion Powered by GlutaMAX. This advanced product made with premium skin lightening essentials brightens and smoothens out the skin, restoring its youthful vibrancy. It contains SPF 15, Vitamin B3, glutathione, and Algowhite, and it was carefully formulated by a dermatologist so that it would be both safe and effective. Aside from those perks, it will leave your arms smelling good! Lastly, I was asked to choose from their wide range of imported polish to make my nails look perfect. I actually had a hard time picking out a color but I ended up with an red Orly polish which shade color I forgot lol. I sometimes can't appreciate how nice imported polishes are. But if this one would last me a few days longer than drugstore nail polish, then it is indeed worth the extra price. There weren't any permanent whitening effect of the arms and nails that I have noticed from the procedure, but I guess availing of this service continuously would be able to give off such effect. There was instant brightening brought by the nail paste though. This procedure costs P600, which is quite pricey as compared to a regular manicure. However, if you want to be extremely pampered and relaxed, this service is worth every cent! 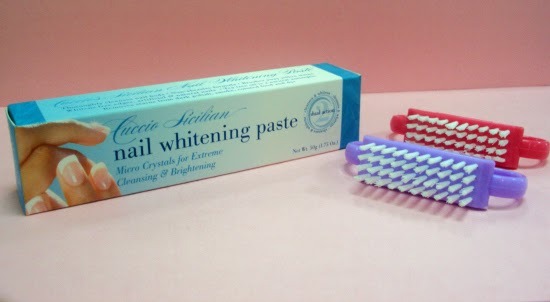 To learn more about this as well as other products and services offered by Posh Nails Hand and Foot Spa, visit www.PoshNails.com.ph. You can also like their page on Facebook (https://www.facebook.com/POSHNAILS.HandandFootSpa) and follow them on Twitter (@PoshNails_).